You can tweak bottle caps to make charming lockets. Just drilling a hole through them or attaching a small loop allows them to accommodate chains, ribbons, cords, hemp or nylon straps resulting in gorgeous necklaces. 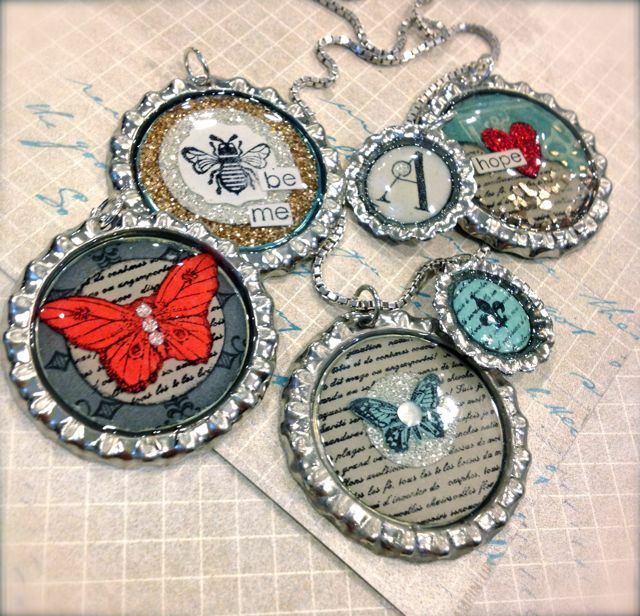 Different designs of patterned paper together with rhinestone, glitter and pearl fillings make these beautiful DIY necklaces. 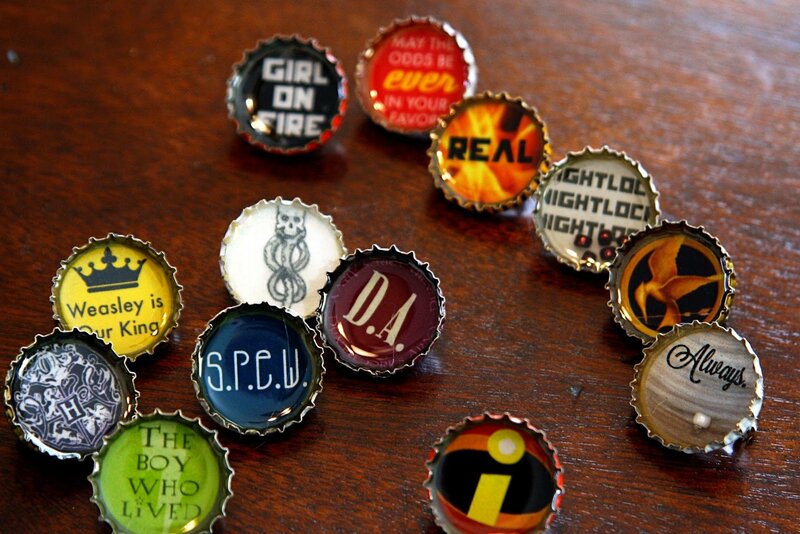 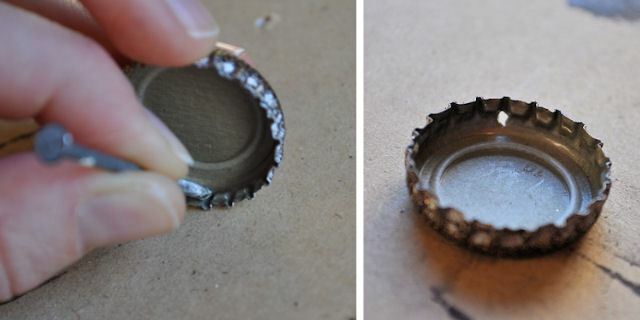 Show your creative spirit within the 1-inch diameter space of bottle caps. 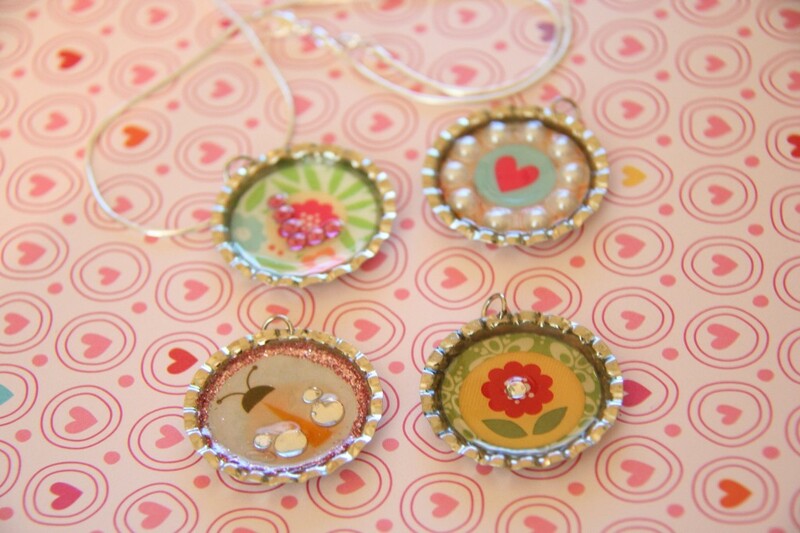 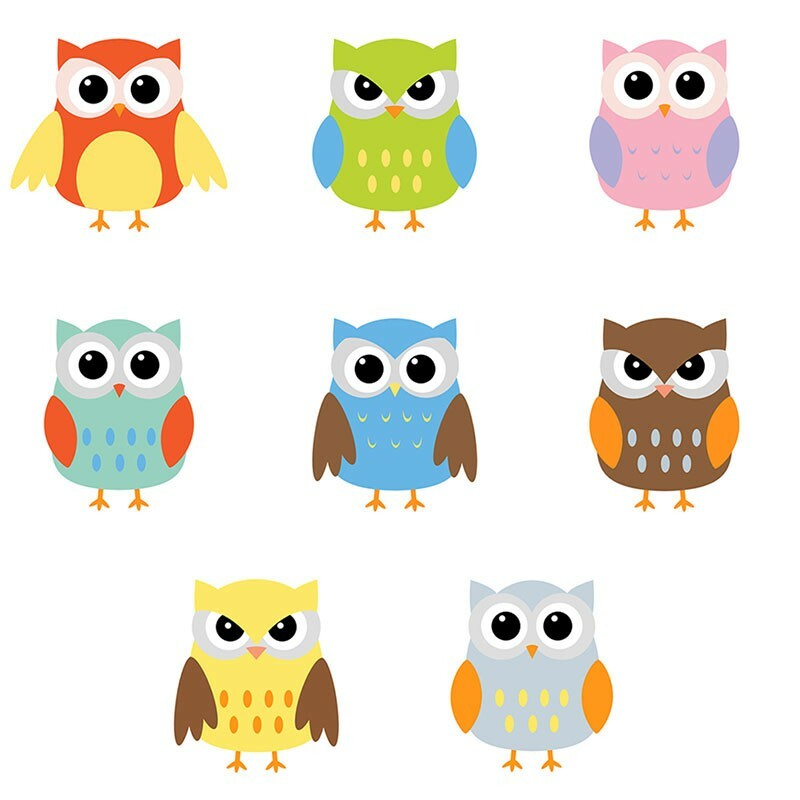 You can use the pendants for making trinkets and other items of jewelry too. 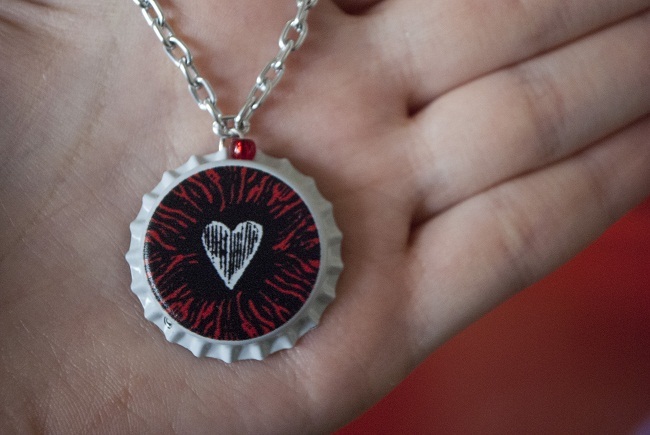 After giving instructions on making a bottle cap trinket, the tutorial moves on to giving you the steps of creating a romantic bottle cap necklace. 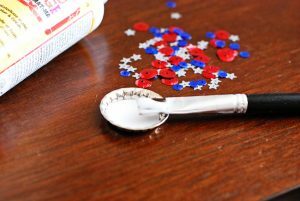 Here is a fun craft idea for the 4th of July. Let patriotic emotions soar high as you make this patriotic sequinned piece of art. 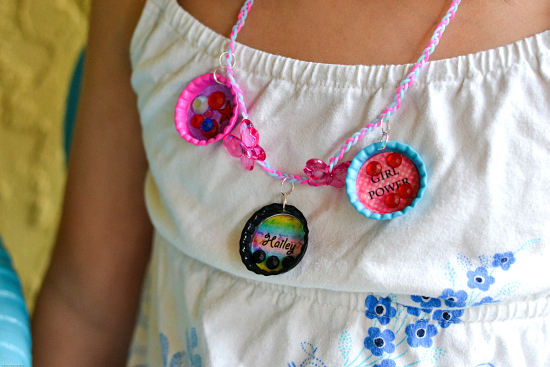 Just a handful of easily available materials can help you with this bottle cap necklace project. 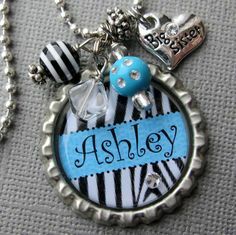 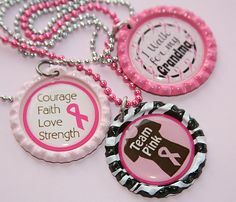 If you want the lockets to carry a humane message, you may change the display of the pendants as the ones shown below. 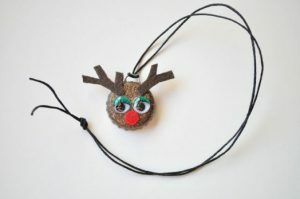 Spice up winter by creating this quirky reindeer bottle cap necklace that kids are going to love. 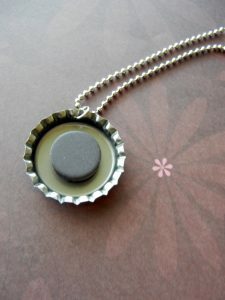 Are you a fan of the vintage bottle cap necklace worn by Lindsay Lohan in the movie “Confessions of a Teenage Drama Queen”? 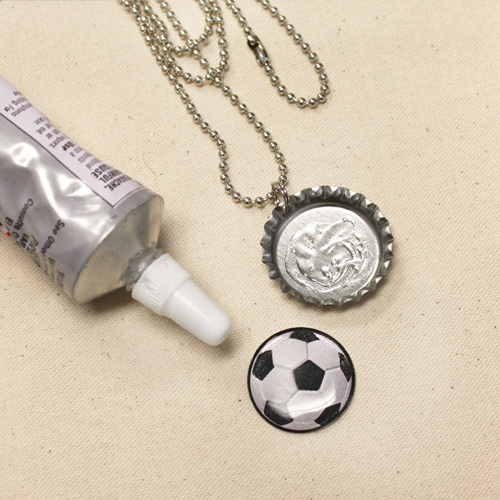 Here are the steps of how you can make it yourself. 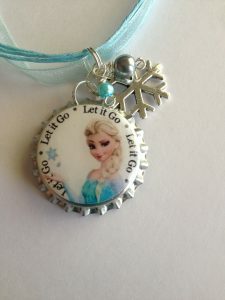 Make a bunch of this pretty design to give away as party favors for your child’s Disney Frozen party. 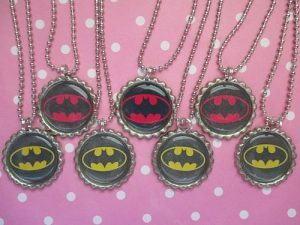 You will cherish the experience of making bottle cap necklace like M3 Girl Designs as shown in the show, Shark Tank, with the help of this tutorial. 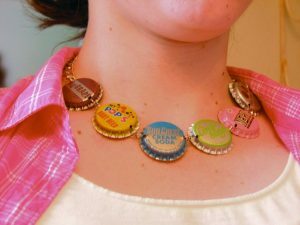 If you want, you can flatten the edges of Bud Light bottle caps and attach them to smart chains at regular intervals to make swanky necklaces. 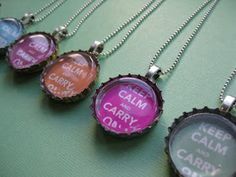 While the featured bottle caps represent meaningful messages, if you love gymnastics or skating, you can customize the pendants to reflect your favorite sport. 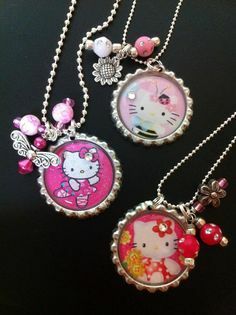 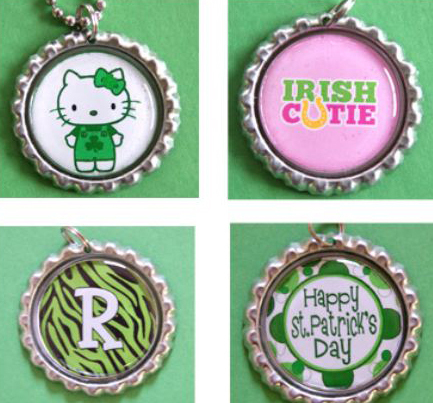 If you are arranging the birthday party for your kid, you could try making magnetic bottle cap necklaces in Hello Kitty designs. 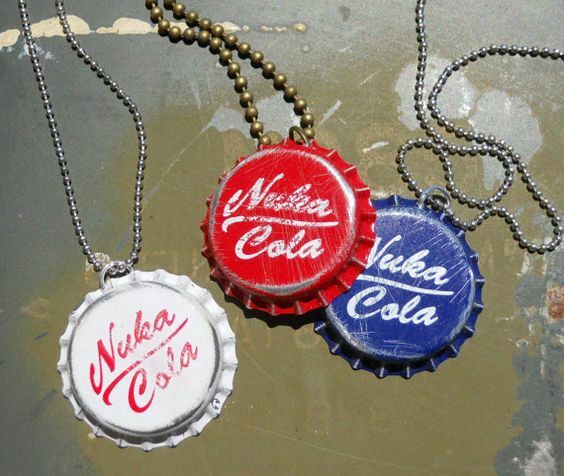 It would be great if you give a rainbow color to the bottle caps that reflect your name. 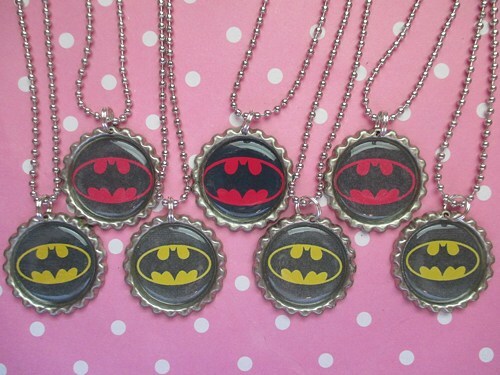 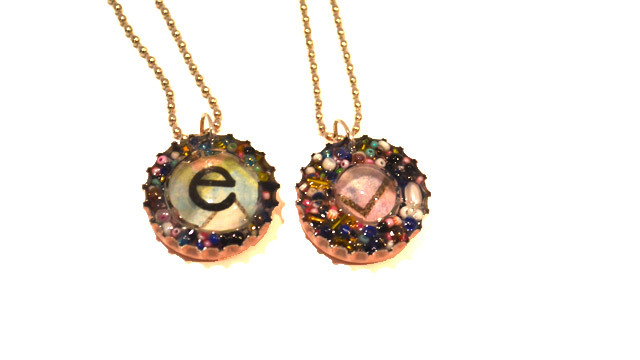 These edgy necklaces are in line with your favorite video game. 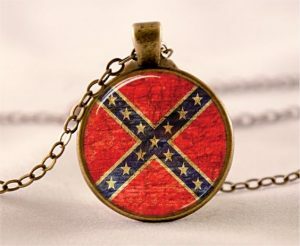 You can utilize the directions given above to make this bright rebel flag pattern. 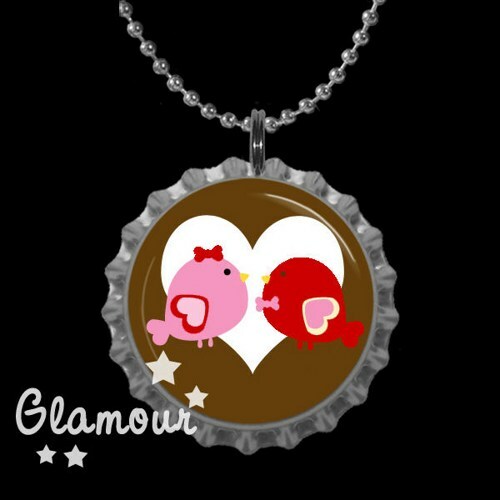 Give wings to your imagination and tweak the above design to make a lovely necklace for Valentine’s Day. 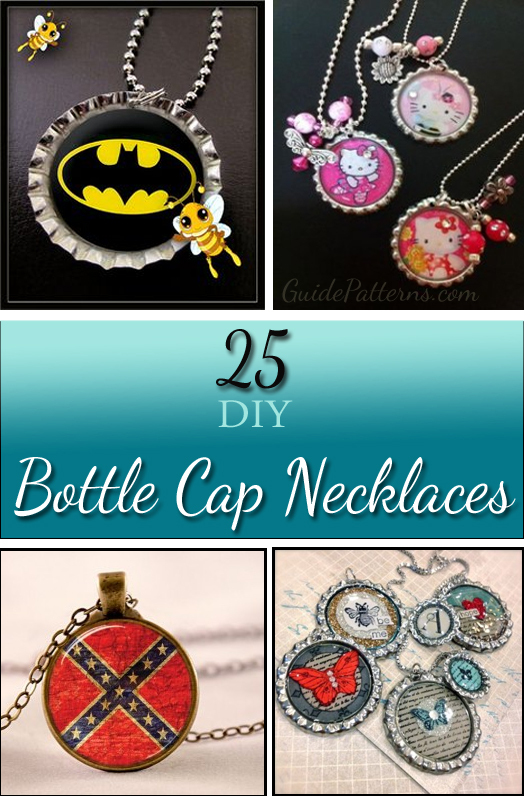 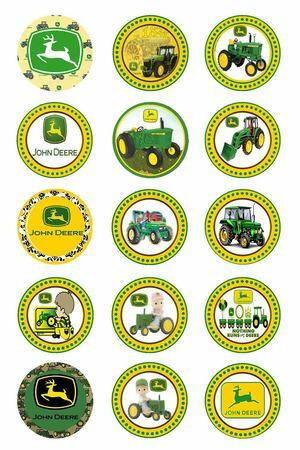 You can take a printout from the below template and glue them to your bottle caps to make charming jewelry. You must be bubbling with ideas by now and can’t wait to make the next festive occasion special with your craft skills.